Amazon has a fun deal on two popular Joovy products. 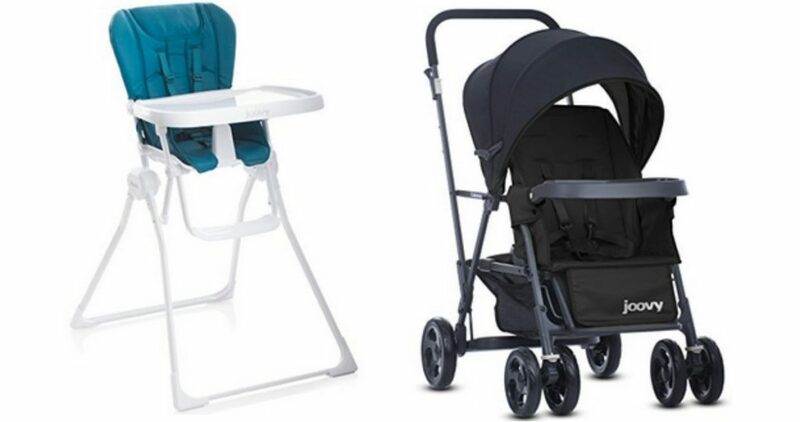 Grab the Joovy Caboose Graphite Stand On Tandem Stroller for $93.59 or the Joovy New Nook High Chair for $68.88. This high chair features a large swing-open tray that operates with a one-hand motion without having to use two hands or line up cumbersome rails. The stroller is compact and allows your older child to stand and younger one to sit.